Nokia has officially announced its much awaited first Android smartphone Nokia X with other two smartphones of X series including Nokia X+ and Nokia XL. All three X family phones are low budget phones and comes with Nokia Lumia style user interface and powered by 1 GHz dual-core Snapdragon processor. 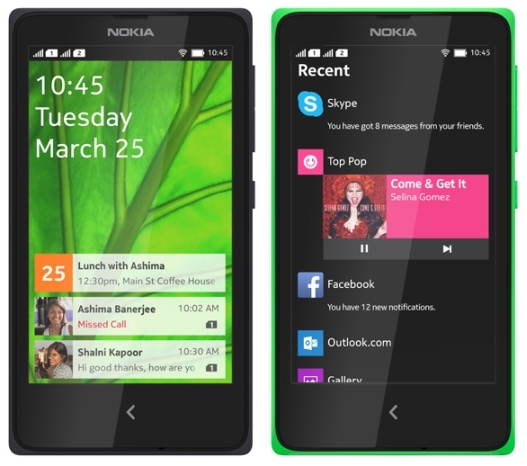 Nokia X and X+ come with a 4 inch IPS LCD display with the resolution of 800x480 pixels. 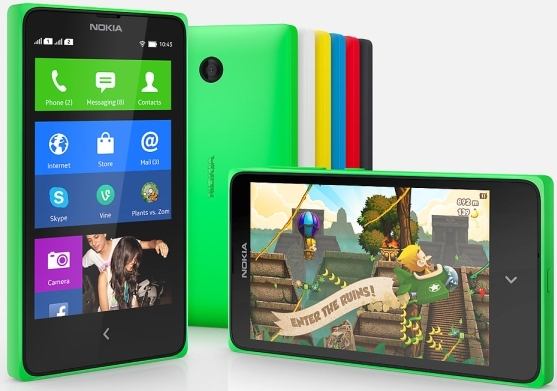 Nokia X is packed with a 512 MB RAM and 4 GB internal storage and external storage up to 32 GB with microSD card. It features 3 MP rear camera and there is no front camera for video calls. Nokia X+ has 768 MB RAM and all other specifications are same. Nokia XL has some advanced specs compared to above phones and it comes with a 5-inch display with 800x480 pixels resolution, 5 MP rear camera with auto focus, LED flash, 2 MP front camera for video calls and 768 MB RAM. Nokia X series Android smartphones are running on forked version of Android 4.1.2 Jelly Bean system platform that can run Android apps, Microsoft services with Nokia’s Lumia tile based user interface with fast lane access. And it is called Nokia’s X software that does not giving direct access to Google Play Store, but you can find and install android apps from Nokia Store or other third-party stores. The phones comes with some pre-installed apps including Skype, Outlook, OneDrive, Here Maps, BBM, Vine and more.